From a young age I always struggled with my weight. At only 5ft 2in there’s no hiding the extra pounds. I’ve learnt to eat healthily and exercise regularly. Honestly, I don’t mind going to the gym, but I do find it difficult to stay motivated when I’m there. All of those different hi-tech machines, not knowing where to start, or how half of the things actually work. Some people love the gym, but surely not everyone likes to work out that much? Last year a friend recommend a place called Studio Fly, located in Ware, Hertfordshire. They offer an entirely new and exciting way to exercise. 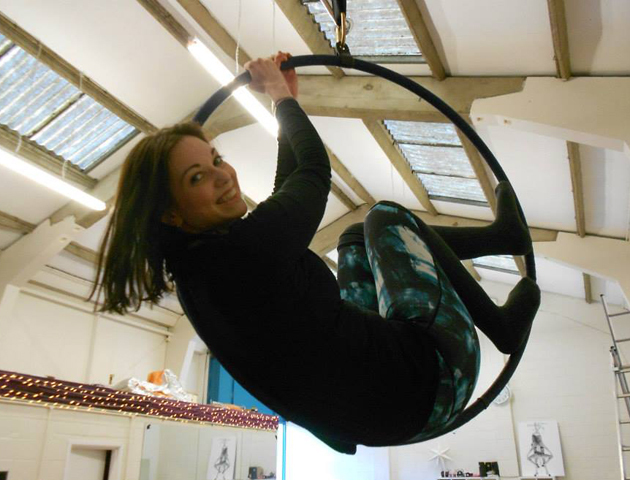 The studio has a range of classes from anti-gravity yoga, pole dancing, to aerial fitness in the form of hoop and silks. 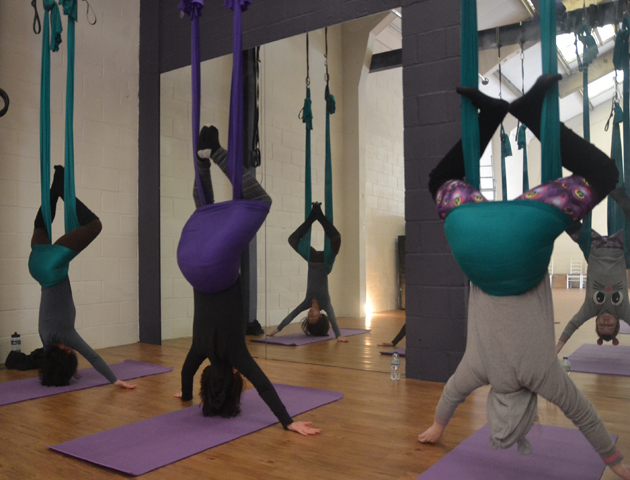 I went along to a taster class for anti-gravity yoga and it opened my eyes to a whole new world of exercise. It doesn’t matter what level, age or size you are. If you’re a pro or a beginner, there’s a class for you! Anti-gravity yoga is growing in popularity around the world. It’s a gentle class designed to increase overall fitness and health. Anti-gravity uses a specially designed hammock which is used along with a blend of mat-based yoga, Pilates, dance and gymnastics. It’s fun, improves your flexibility and core strength and decompresses your spine – leaving you feeling taller and lighter. 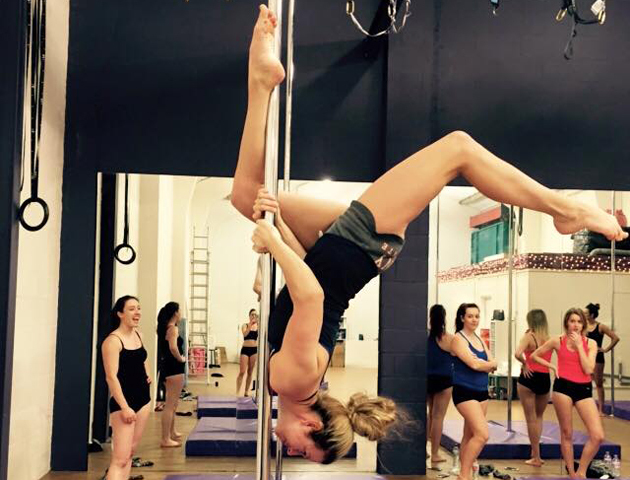 Pole dance and fitness is an amazing workout designed to increase strength, flexibility and confidence whilst burning calories and getting fit. You learn tricks, spins and transitions and bring them all together in sequences that really challenge you. 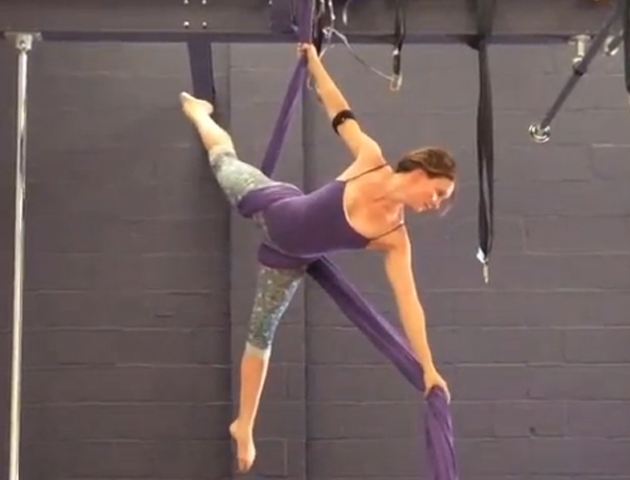 Aerial Hoop is a circus discipline that has been adapted to provide a great workout. It allows you to build on strength, stamina and flexibility. This class will give your whole body a good workout, but it’s particularly good at strengthening your core muscles and upper body. Silks is a discipline in which you use two lengths of material as a tool to climb, create figures, perform tricks and generally have a play! The variety of moves, drops, wraps, twists and turns are practically endless and extremely challenging.